Lawdy, Lawdy y’all, February was a bear. We got a lot happening mixed with sickness that just keeps coming around. We got so much planted and growing, and spring just around the corner. We got massive amounts of birds chirping and nests being cleaned out for a new season of life to begin. We had a ton of sunshine and a few very cold days still. But all in all it was still progress. So this month we had a birthday boy turn 10, yes 10! I mean where did a decade go? And yes that is a poop emoji, he wanted a poop emoji piñata, oh to be 10. He also has a new-found interest in outer space, stars and whatnot. So a field trip doubled as a birthday trip to the Kansas Cosmosphere, and man that place is amazing. If you ever find yourself traveling through Kansas it is a great place to learn, even for adults. It is only and hour down the road from us, but we had never been, I’m sure we will be returning again. We of course had our first ever homestead birth, a baby goat named Endy (don’t ask me the kids named her). In fact it was all quite a surprise, we of course knew our mother goat was pregnant, but we thought she had a few more weeks. So one day we came home to a surprise baby goat walking around and mama with her. In fact I did a whole post on that, it was really quite a learning experience for us check that out here. She (Endy) and mama (Ariel) are doing great in fact you would never know she is only a few weeks old she gets out and runs and romps and is as curious as can be. We got tomatoes, peppers, cucumbers, and small melons all started in pots. We also have onion, comfrey, echinacea, yarrow, and calendula started in trays as well. I plan on an early season for garden fresh food, as we still have tons of space in the greenhouse to get stuff going really early! 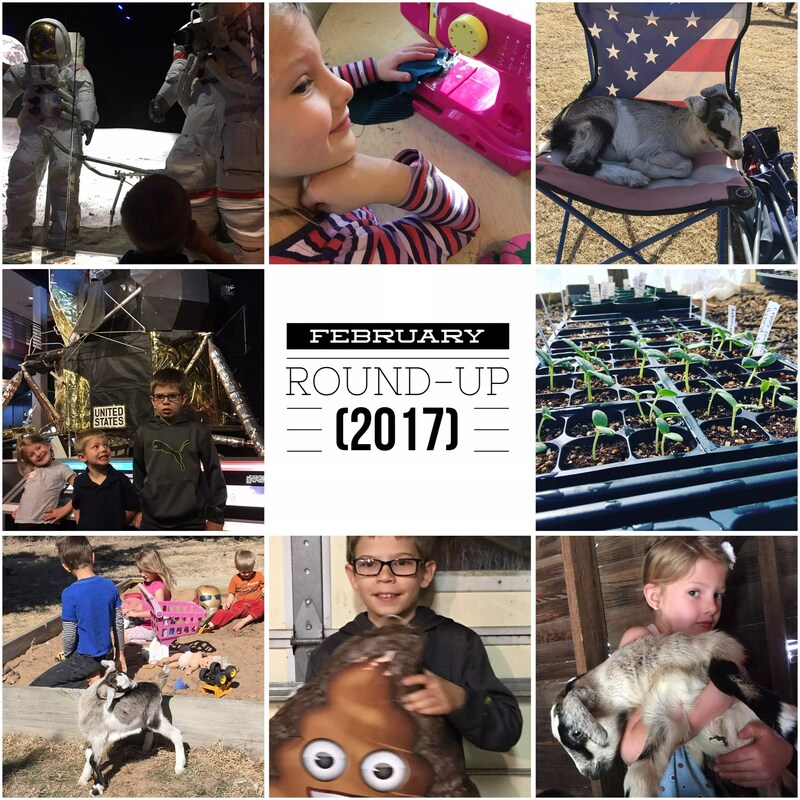 This month I had a mama goat with mastitis, a male duck with a swollen knee joint who couldn’t walk, and a child with an ear infection all to heal naturally with essential oils. With the animal life it is always a bit of an experiment. However the ear infection cure is pretty well proven to me check out my post on healing ear infections 3 different ways, naturally of course. Life this month was busy and hectic, if I am being honest it always is for us. However sickness on top of sickness did not help, and if I am being honest again, I kinda let sickness preparation kinda slide this year. So rest assured next year we will have the shelf stocked with fire cider, and raw pickled garlic, fermented veggies and many of my favorite supplements from my favorite top 10 list . So this year ol’ man winter kinda got us, but next year I have a plan.